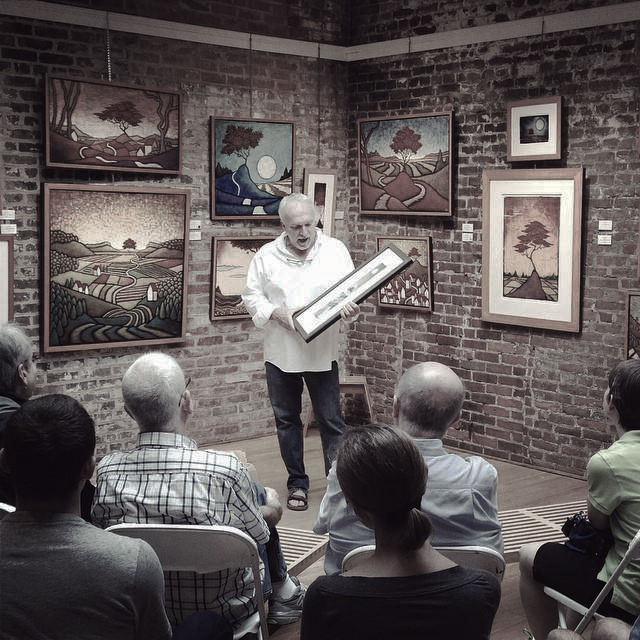 On Saturday, September 16, I will be in Alexandria, VA at the Principle Gallery for my annual Gallery Talk. This year marks fifteen years for this event and I am really looking forward to having an engaging talk. There will be PRIZES and SURPRISES, as always, with the main prize being an original painting of mine. I try to make it fun and informative and give you a little more than you expected. I hope you can make it. The talk starts at 1 PM. Come early to get a good seat! On September 28 & 29, Thursday and Friday, I will be leading a workshop for the Arts Center of Yates County at Sunny Point, their lovely cottage/studio on the shores of beautiful Keuka Lake. This is my third year teaching this workshop and I think this year’s edition will be the best yet. 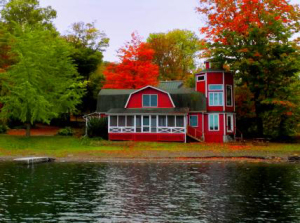 We’ll have some fun, good conversation, lots of painting and gorgeous fall scenery on the Finger Lakes. Always a few surprises! The workshop runs each day from 9 AM until about 4 PM. You can get more details by clicking here. 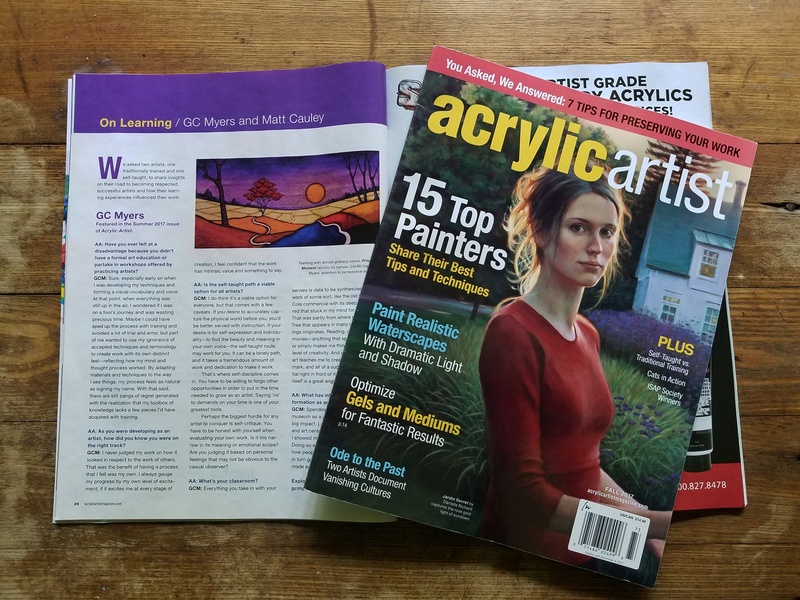 Plus, the Fall issue of Acrylic Artist comes out with a short interview that deals with the pros and cons of being a self-taught artist. On the flip side artist Matt Cauley speaks on following the path of traditional learning.